Richard Elmhirst had a tower built in the 1640s to protect the Royalist garrison at Houndhill, a Tudor farmhouse in Worsbrough. The tower has four small openings just below the parapet. A doorway faces Houndhill farmhouse and inside there are narrow stone steps. Locke Park Tower was designed by Richard Phene Spiers and the contractors were Messrs Robinson and son of Barnsley. Towrds the end of the 19th century, Spiers became a leading architectural teacher and was Master of Architecture at the Royal Academy Schools. The 70 feet high observatory tower was built in 1877. At the base is a circular Ionic colonnade on which rises an Italianate drum topped by an oak lantern with a copper roof covering. It was commissioned by Sarah McCreery as a memorial to her sister, Phoebe Locke, the wife of Joseph Locke, a prosperous railway engineer. The tower is unusual in that it was commissioned by a woman for a woman and there are few memorials to women other than Queen Victoria. The Ionic columns originally supported a pediment at the front of the Commercial Buildings, built in 1835, in what is now called Royal Street. 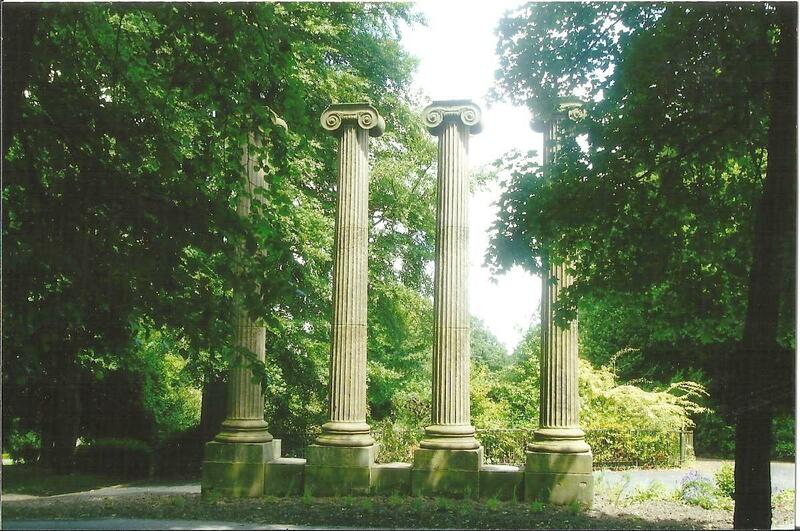 When the footpath was widened in the 1870s, the columns were bought by the local council and erected in Locke Park. St Edward's Church, Kingstone, formed an eyecatcher but is now obscured by trees.